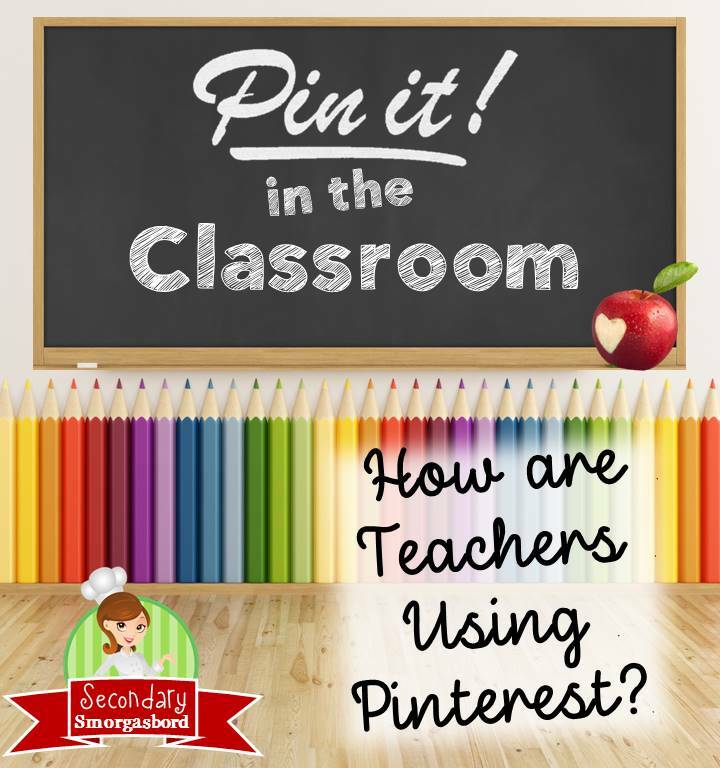 This week, I'm linking up with the Secondary Smorgasbord to talk about Pinterest in the classroom. Thanks to Darlene Anne Curren and Pamela Kranz for hosting! There are so many uses for Pinterest out there. I have a board for each subject that I teach and use them to plan units. I also have a board for outfits that I like and intend to copy (great for hunting deals). I also use it to plan meals during the hectic school year so that my family doesn't fall down the take-out rabbit hole (by the time I get to the pizza section, I'm too big to fall any further, and I just get stuck). You can check out my boards here. So, Pinterest is very useful. But I got the idea to use Pinterest as an extra credit opportunity for my students, and that works really well. I currently teach high school world history, sociology, and psychology. I have taught ELA and middle school in the past, and I know that this would work for each of those subjects and grade levels, but I'll use world history as an example. Since not all of my students have equal internet access and rules in their home, I make this an extra credit opportunity. One requirement I do have in the course is for students to complete a current event paragraph for each unit. Students find a current event that relates geographically or topically to our current unit of study. They summarize the article, explain why it is important, and connect it to our unit. You can see it here. I make Pinterest an extension of that. Students create a world history board and send me the link so that I can follow. They also go to blogger and set up a world history blog for free (but they have to be 13 to open one--I also get parents to sign for permission). They pin five current events or articles that they find about the topic we are studying (this was really great last year when we got to WWI as it was the 100th anniversary of the outbreak). The sixth pin is a link to their blog post reflecting on the five pins. Here's the handout I use. Students are engaged and are creating actual social media about the class. My school doesn't block Pinterest, so I put the QR codes to their boards and blogs and create a station in my room where early finishers can check them out. There are so many possibilities with this. In ELA, students can pin poems, short stories, young adult novels. They can use the blog to write reports and original poems and stories. In psychology, they can use it to consider new research (there's a ton out there). In sociology, they can consider various cultures and norms from around the world. 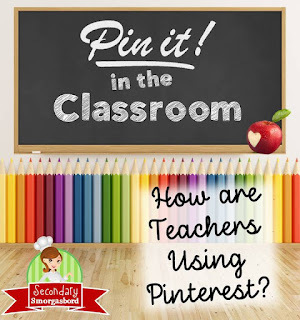 Would you use Pinterest like this in your classroom? If so, let me know how and for what subject. 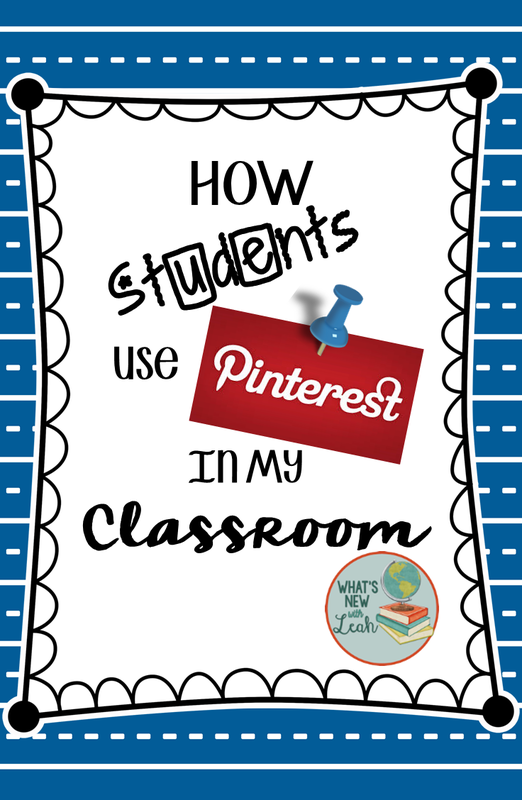 If not, how do you use Pinterest in your classroom? Leave a comment below to let me know. Also, follow the links below to find out how many top-notch secondary teacher-bloggers are also benefiting from Pinterest. Oh man now I have another idea of something I could implement this semester. Love the blog connection to this. Ooh things to think about. They like writing a blog post so much more than a pen and paper essay! 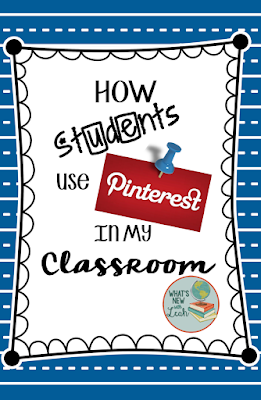 I love the idea of having students use pinterest! I have never thought of that, but it brings up all kinds of good ideas! I am now teaching in a tech position, and I would like to implement this. It would be great for tech! Leah - I love your extra credit activity! LOVE THIS!!!! Totally using it with my history classes this year! I'm constantly looking for something "fresh and new" in the extra credit department...This is IT! Thank you for sharing!